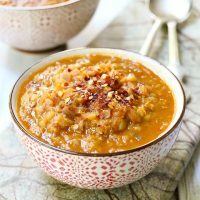 This red lentil soup with coconut milk is very smooth and silky. 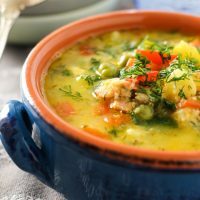 It’s also filling and comforting thanks to the high protein red lentils. 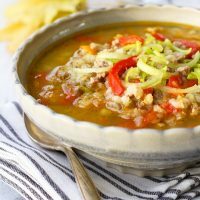 Red lentils make a great base for low glycemic soups. I love using them because you don’t have to soak them in advance and they cook really fast. 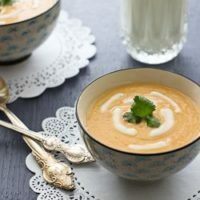 A bowl of this red lentil soup with coconut milk makes a great lunch and you can also eat it as a snack. 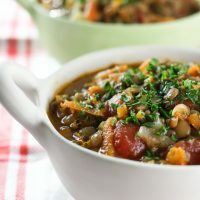 It makes a great appetizer soup that you can offer your guests if you are hosting a dinner party. This soup is so rich that nobody will think that it’s dairy free. 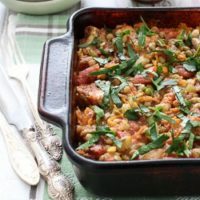 This recipe has been up on the blog for a long time and I am happy to report that many readers have tried and enjoyed it. 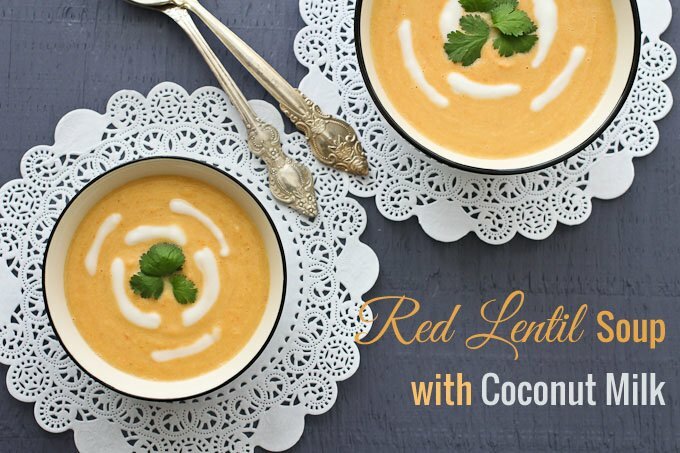 This Red Lentil Soup with Coconut Milk is very easy to make, delicious, and filling. It’s also very nutritious, dairy-free, low-GI, gluten-free, and vegan. In a medium pot, heat the olive oil over medium heat. Add the onion, carrots and red pepper and cook, stirring occasionally for about 3 to 4 minutes until the vegetables start to soften. Add the vegetable stock, water, red lentils, and ginger. Stir and bring to a boil. Reduce heat. Cover and cook for about 15 minutes until lentils fall apart. Add the coconut milk and lemon juice. Season with salt and pepper. Bring to a boil and cover. Reduce heat and let it simmer for 4 more minutes. Turn off the heat and let it cool. 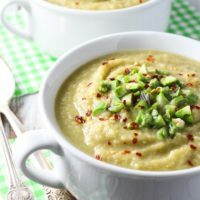 Once the soup is cool enough to handle, transfer to a food processor or a blender and puree until smooth. Warm up before serving. I absolutely loved this recipe. I made it and even my boyfriend (that frowns at my really healthy food) devoured it! The texture is decadent and it is a nice light flavor perfect for lunch at the office. Thank you so much for letting me know! I am always so happy to hear that my readers make and enjoy my recipes. You made my day! Just made this for dinner. It honestly is one of the best coconut-based soups I have ever had ! My 2 additions: a finely chopped jalapeno pepper at the front end and then a small knob of freshly grated ginger vs. the ground. YUMMMMM. I am so glad you liked it, Kerry! Jalapeno pepper and fresh ginger sound great! Hi Maria! 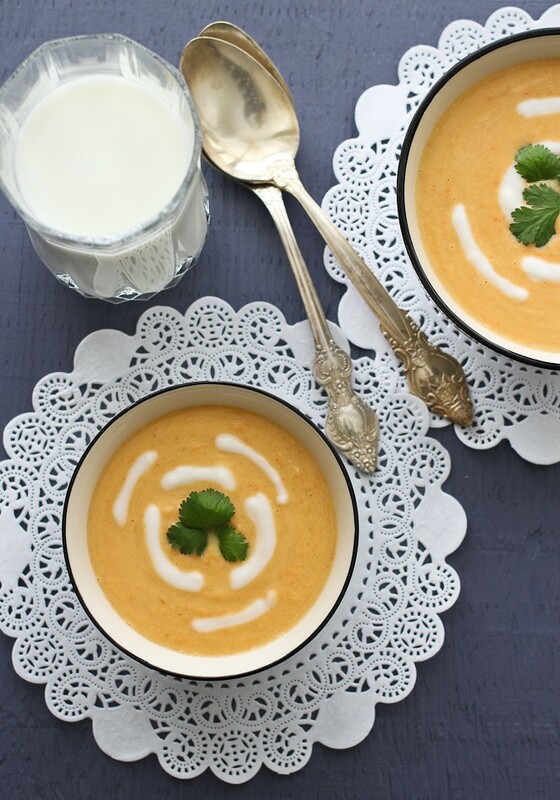 Beautiful blog design, and I always love a quick soup recipe! Will be making this one soon 🙂 Wondering if it works with lite coconut milk? I think it will work with lite coconut milk as well. Thanks for stopping by Anne!